Foster an online community: Want more school families to hear about fundraiser news, updates and SignUps? Make sure they’re following your school and parent group online! Post your social handles in highly-visible areas at Back to School Night, on the school website and in eNewsletters to parents. Formulate a social media plan: Whether it’s by one social-savvy volunteer or an entire team of parents helping spread the word, a social media strategy is key to a successful fall fundraiser. Plan out what and when you’ll post, i.e. for a Chuck E. Cheese’s Family Night Fundraiser, 1 month out, post volunteer SignUps and promotional materials, 2 weeks prior to your event start posting teaser videos of the basketball tournament and images of mouth-water Chuck E. Cheese’s pizza, and in the days right before your fundraiser post last-minute reminders with date, time and the event hashtag. Livestream the event: Free apps and tech tools like Facebook Live, Persicope and Livestream let you share live video of your fundraiser as it’s happening. 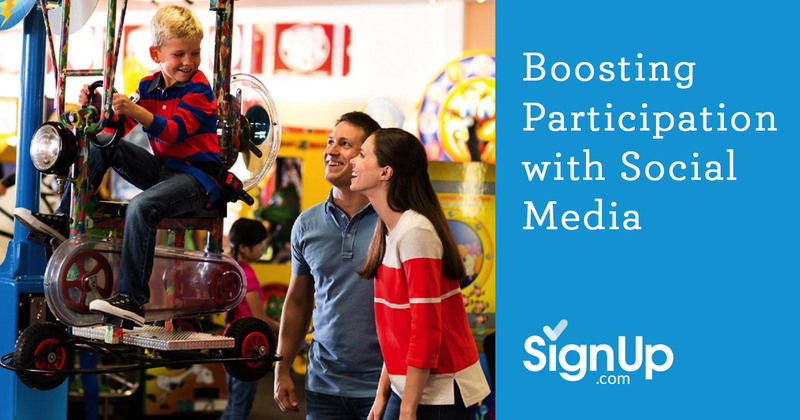 At a Chuck E. Cheese’s Family Night Fundraiser, for example, school-parent leaders can livestream families eating and playing games together – all while earning 15% back for their school. In turn, school families who might have forgotten the day and time of the event will see the video in their feed and remember to show up. Encourage participants to share on social: Your school’s social reach can only go so far – it’s important to encourage school families to post and share on social media too. Gather a group of parent ambassadors with lots of school connections and ask them to post reminders to other school families in their own facebook and twitter feeds. Craft clever on-site social campaigns too, like asking fundraiser attendees to share their picture from the fundraiser photo booth on Instagram and tag your school or use the event hashtag.